Most genetically modified organisms (GMOs) are altered so they can withstand heavy applications of noxious herbicides and not be harmed. More than 15 years since their introduction about 90% corn, soy and cotton in the U.S. are genetically modified just for this purpose. 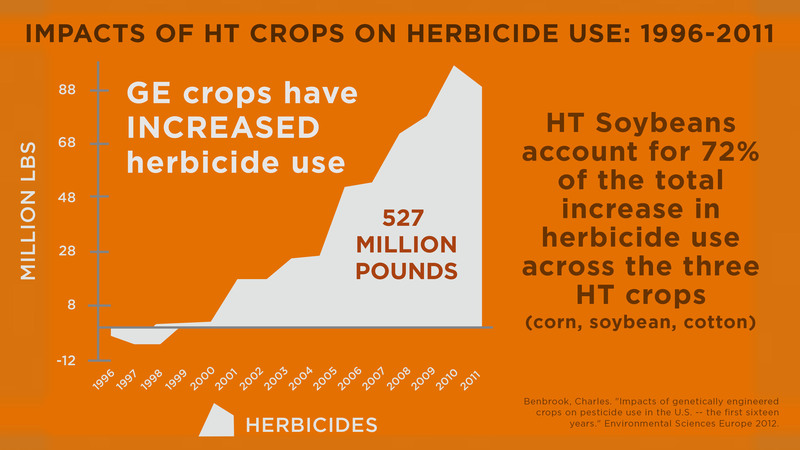 The emergence of super-weeds has resulted in a huge increase in the amount of herbicides being sprayed on U.S. fields. The world’s most widely used herbicide is called glyphosate and it is produced by Monsanto. So when the cancer research arm of the World Health Organization (WHO) recently announced that glyphosate was likely carcinogenic it became a game changer. According to the USGS, glyphosate is found in most Midwestern streams and waterways especially after it rains. Hundreds of schools are dangerously located next to fields regularly doused by Monsanto’s glyphosate. An interactive map from EWG shows the amounts of glyphosate sprayed in each U.S. County and tallies the 3,247 elementary schools that are located within 1,000 feet of a corn or soybean field and the 487 schools that are within 200 feet. That means too many of our children getting regular exposure to this probable carcinogen. A Pilot study conducted by Moms across America and Sustainable Pulse shows glyphosate in mother’s bodies and especially in breast milk. Additional urine testing revealed that in the U.S. glyphosate are at levels 10 times higher than in Europe. What has the reaction been to the WHO announcement? Governments and businesses across the globe have sprung into action banning the chemical. The International Society of Doctors for the Environment (ISDE) has written to officials of the EU Parliament and Commission asking for an immediate ban on glyphosate. The letter states that glyphosate is associated with health problems such as birth defects, infertility, damage to the nervous system, Parkinson’s disease and several forms of cancer. Germany’s state consumer protection ministers are calling for an EU-wide ban on glyphosate to protect public health. A well-known chain store in the EU owned by the REWE Group named Toom Baumarkt declared that they will not carry any glyphosate products after September 30, 2015. The stores will instead offer a number of natural alternatives to combat weeds and pests. Social organizations and scientific researchers in Latin America launched an aggressive campaign in Latin America. They are advocating for a ban on glyphosate which should take effect in the short term with restrictions on purchasing, spraying and packaging. The Colombia government announced they will suspend aerial glyphosate spraying of illegal coca plants and the import of products containing glyphosate has been suspended in Bermuda. The small country of Sri Lanka announced effective immediately that imports of glyphosate and its products will be banned. 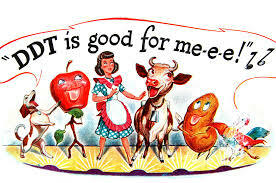 Some of you may be too young to remember the ads “DDT IS GOOD FOR ME-E-E!”. DDT was sprayed prodigiously in the 1940s and 1950s, in schools, on pets and in fields. Only after widespread degradation and harm to animals, birds and humans was it banned in 1972. Could Monsanto’s glyphosate be the DDT of tomorrow? Are we repeating our toxic karma of falsehoods and faith? In May, tens of thousands of people around the world took part in the annual March Against Monsanto. 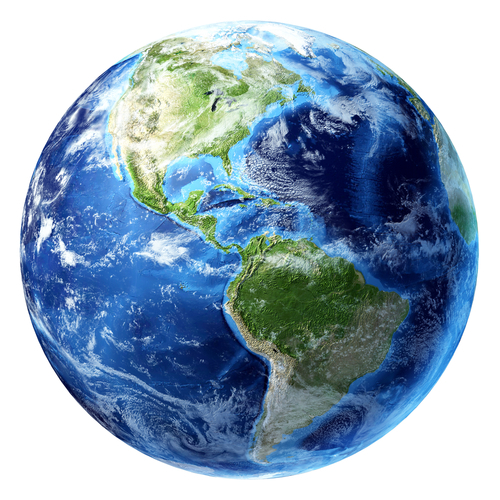 Events took place in over 400 cities in more than 40 countries throughout North America, Europe, Asia and elsewhere. GM Watch provides a link to some stirring pictures of the marches around the globe that are worth viewing. The groundswell of voices is becoming clear. No more poisonous concoctions on our food please. Let’s find a better way to grow food through organic methods. Ed Brown is the producer of a film called Unacceptable Limits about the dangers of exposure to toxic chemicals since the chemical revolution in the 1940s. He now has a second film in production called A New Resistance that exposes the problems of glyphosate. The film is slated for release this summer and he is planning to distribute it for free to ensure the broadest possible distribution. Here is a link to the trailer: https://vimeo.com/125725717?from=outro-local. My eternal thanks goes out to http://www.gmwatch.org/ for their daily and weekly updates that provided much of the content for this blog. Feel free to sign up for their newsfeed to stay enlightened on GMO issues. I believe it is only a matter of time until we see the end of glyphosate. For the sake of our children, may it come quickly. This entry was posted in GMO, Labeling, What is Organic and tagged Glyphosate, GMO. Bookmark the permalink. Thank you Melody, for your work. Thank you for reading and commenting, please pass it along so others are aware. Good info, I was recently in a debate with some GMO supporters (who I think have a vested interest in Monsanto) and they tried to tell me that GMOs are made so farmers can use less pesticides. I dismissed their claims bc I understand biology, evolution and super weeds. There’s a TEDx video I posted on my site that talks about the REAL cost of organic farming http://www.tiffanyrebekahlifestyle.com. Check it out. Tiffany, Is that how you smear every body? implying that they are in the pocket of Monsanto? What about the billion or so people on the globe who are delighted with what science can supply them in the way of increased yields? Is Monsanto paying them under the table as well? If you really knew anything about biology, evolution and superweeds, You wouldn’t be agreeing with the misinformation above. I would like to see your proof in the 527 million pounds of extra pesticides broken down by herbicides, pesticides, and fungicides. Please include the pounds of glyphosate. I seriously doubt the validity of your claims and want evidence. Melody, Thank you for your article. It is very similar to one I just posted on Huffington Post that got 7000 likes!! Thank you Ann, I did see it and think it is great! I am glad you read mine and we are all thinking alike! Let’s keep up the good work getting the word out. as other people think about issues that they plainly do not realize about.